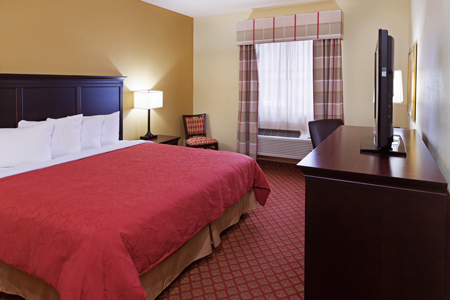 Unpack your bags and unwind at the Country Inn & Suites® by Radisson, Oklahoma City at Northwest Expressway, OK. 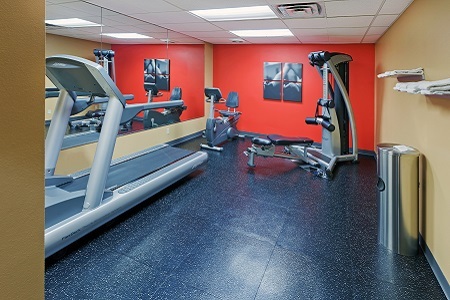 Situated near I-44 and OK-74, our hotel is less than two miles from Penn Square Mall, INTEGRIS Baptist Medical Center and AllianceHealth Deaconess. In OKC for a corporate trip? We’re close to companies like AT&T, The Hartford and Williams-Sonoma. If you’re looking for a fun family outing, head to the OKC Zoo or Science Museum Oklahoma, both just seven miles from the hotel. For a romantic getaway, reserve one of our Whirlpool Suites and enjoy all our standard amenities, plus extras like a sleeper sofa and a two-person whirlpool. Drizzle syrup on your waffle, butter a piece of toast or top your yogurt with fresh fruit at our free, hot breakfast. In a hurry? 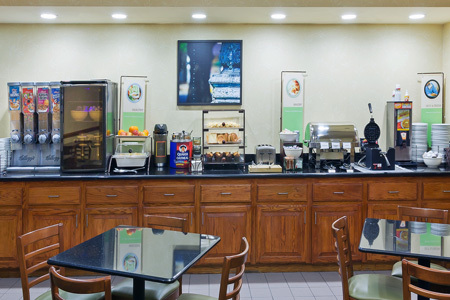 Grab a bagel and a cup of coffee before you rush out the door. When you’re ready for lunch or dinner, try a nearby restaurant like Couscous Cafe, known for tender kebabs and Moroccan mint tea, or Junior’s for a special evening of steak and fine wine. Penn Square Mall – Home to more than 140 stores, Penn Square Mall is a great place to find bargains and brand names less than two miles from the hotel. You can browse The Art of Shaving, pick up a new outfit at J.Crew and eat dinner at The Cheesecake Factory. Oklahoma City National Memorial Museum – Head 15 minutes southeast to this poignant museum and pay tribute to those affected by the 1995 bombing of the Murrah Federal Building. The museum also contains a STEM lab that introduces students to the world of forensic science. Myriad Botanical Gardens – Your whole family can enjoy strolling along the paths of these urban gardens located about 15 minutes away. Stop by the Crystal Bridge Conservatory to see gorgeous waterfalls and lush plants. 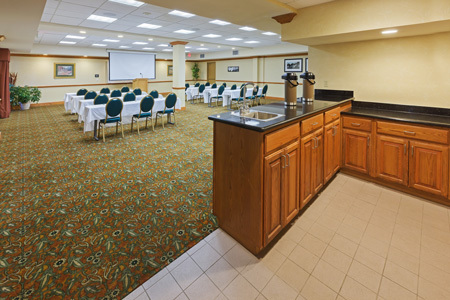 Whether you’re hosting an intimate gathering or a seminar for 100 guests, our hotel just off the Northwest Expressway is a convenient meeting point. We offer 1,600 square feet of flexible space equipped with free Internet, a built-in overhead HD projector, an automatic screen and a wireless microphone to make your event a success.